Generations Housing Initiatives grew out of the Habitat Company’s Affordable Group to create an entity whose primary focus was providing vital services to its low income residents. Our members come from many backgrounds, but what brings us together is a shared passion for making a difference in the lives of affordable housing residents. Our Social Service Team consists of over 20 Resident Service Coordinators who provide direct, on-site support to residents. They have decades of experience and education in social work and psychology, and speak languages such as Korean, Russian, Polish and Spanish. GHI’s position can also assist other affordable housing developers. We have real estate development and property management experience that allows us to see the bigger picture and work effectively with developers to create programming tailored to the unique needs of each community. 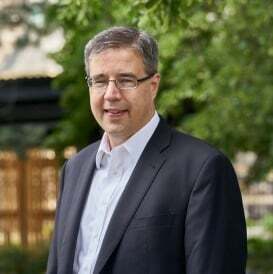 In his role as Vice President of Development for Habitat Affordable Group, Jeff Head manages the financing and development for our affordable housing portfolio. 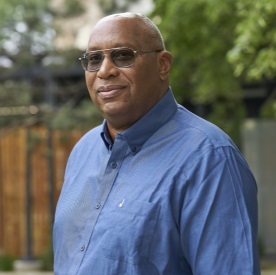 Between 1998 and 2013, while leading Habitat’s court-appointed receivership of the Chicago Housing Authority, he was part of the leadership team that managed redevelopment of some of the largest public housing sites in the country, including Cabrini Green, the Henry Horner Homes and the ABLA Homes developments. Over his 20 years with Habitat, Jeff worked with agencies such as the Chicago Housing Authority, Illinois Housing Development Authority, City of Chicago, US Department of Housing and Urban Development, he has been involved in transactions that have invested more than $1 billion in Chicago neighborhoods housing developments. Prior to joining Habitat, Jeff worked on a variety of urban development programs as an Assistant to Mayor Richard M. Daley, at the City of Chicago. He holds an MUPP, from the University of Illinois Chicago’s College of Urban Planning and Policy. Amy S. Kasper has over 22 years of Illinois social service experience. 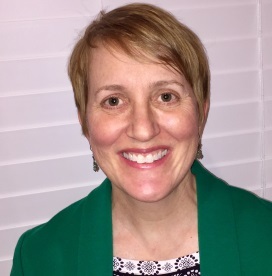 She has served in leadership and executive positions at Little City Foundation, Victor C. Neumann Association and Kaleidoscope, Inc. Utilizing her extensive experience in program development, management and evaluation, Ms. Kasper has run a successful Performance and Quality Improvement consulting business since 2004. She specializes in developing data management systems, managing large scale projects and providing executive coaching. She has served and continues to support a multitude of community mental health, child welfare and other social service entities in earning and maintaining accreditation and Medicaid certification, developing new and innovative programs, securing grant funding, and implementing and directing quality improvement and data management systems. Ms. Kasper earned a master’s degree in social work from Loyola University of Chicago and a bachelor’s degree in engineering arts from Michigan State University. In his most recent role, Lawrence Grisham oversaw the city of Chicago’s affordable housing programs and activities. This included multi-family rental projects, single-family purchase and rehab assistance, foreclosure prevention and mitigation programs and housing preservation efforts. He also oversaw the Chicago Low Income Housing Trust Fund, which administers the largest locally funded rental subsidy program for very low income families in the country. Prior to joining the Department, Mr. Grisham was a Senior Vice President at The Habitat Company, managing the Community Development Group. He was responsible for executing Habitat’s duties as the court-appointed Gautreaux Development Manager for the development of all new family housing for the Chicago Housing Authority. As part of his role at First Sterling Bank, Michael McGovern focuses on the bank’s community development efforts throughout its footprint. He provides equity for Low-Income Housing Tax Credits, Historic Tax Credits and New Markets Tax Credits, as well as equity investments in loan pools and other programs focused on community stabilization and revitalization. Prior to his work at First Sterling, Mr. McGovern was a Vice President of Commercial Real Estate at Associated Bank, as well as the Vice President of Community Development Lending at LaSalle Bank.